As beautiful as natural red hair is, it can be incredibly coarse (c’mon, we can’t have everything). There are no two ways about it; each ginger strand is fragile, has the tendency for frizz, and needs to be treated with extra care. Combine that fact with the realisation that gingers actually have fewer (albeit, thicker) follicles on their red heads, and you may suddenly become very protective of your rare and delicate gingerness. Reading the ingredients on your shampoo bottle is vital: products without sulphates and chemical nasties is what you want (these exist, by the way – phew!). 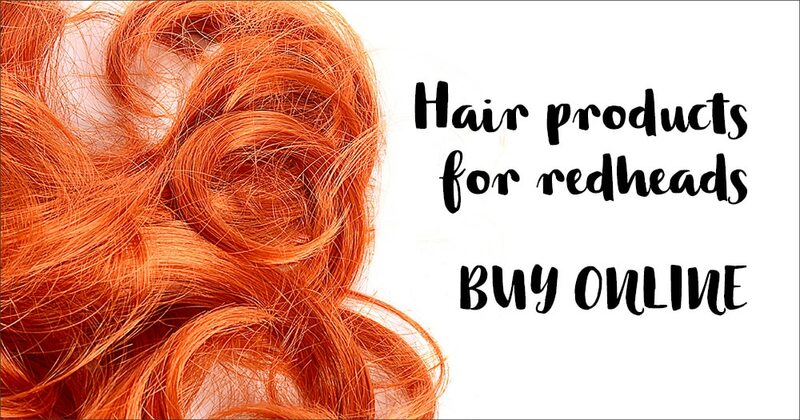 Redheads’ hair saviour is conditioner. While other hair shades may condition their locks less frequently, conditioner is more important for gingers to help to counter the coarseness of their red hair. Invest in a high quality, moisture-rich conditioner to keep the frizz at bay, and use a deep conditioner or hair mask once a week, too. A leave-in conditioner is also a great way to keep your hair shining and bright between washes.